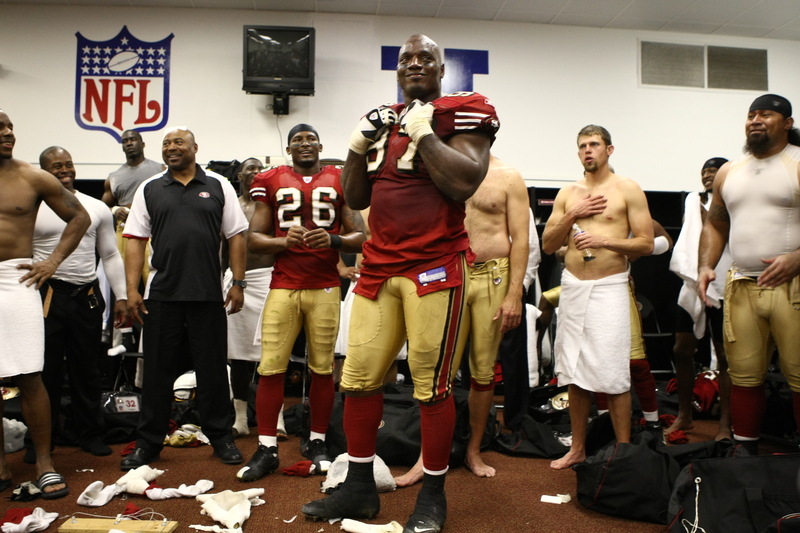 Bryant Young’s 49er career spanned 14 of the 25 years I was with the team – longer than any other player. I photographed his first regular season NFL game against the Los Angeles Raiders on Monday night September 5, 1994 at Candlestick Park. And I photographed his last regular season NFL game against the Cleveland Browns in Cleveland, Sunday, December 30, 2007. When he retired, BY was the last active 49er to have played in a 49er Super Bowl game. But most symbolic of his character was an unprecedented seven Len Eshmont Awards. 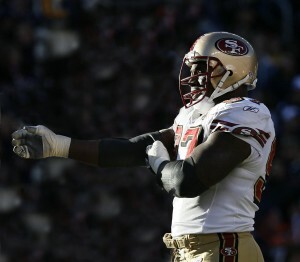 The Eshmont is voted by 49er teammates to the player who best exemplified courage and leadership. 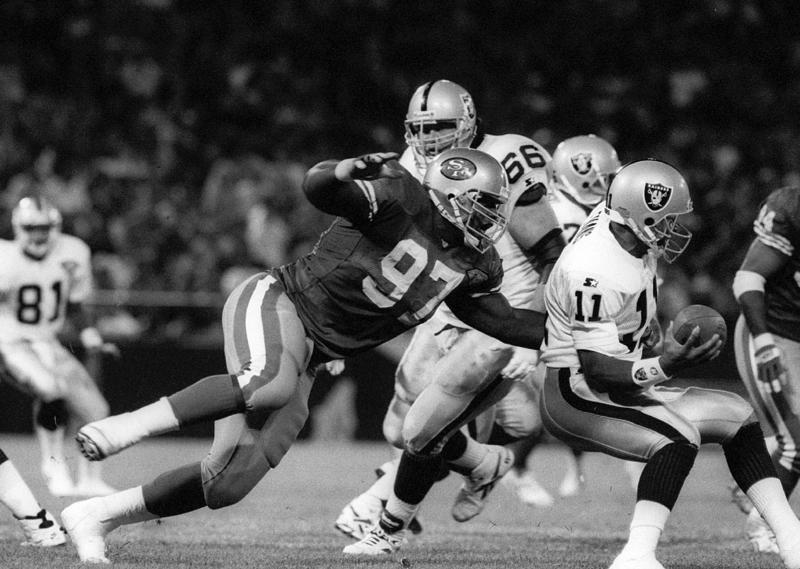 That courage and leadership was demonstrated when BY suffered a severely broken leg suffered late in a 1998 Monday Night Game against the New York Giants. 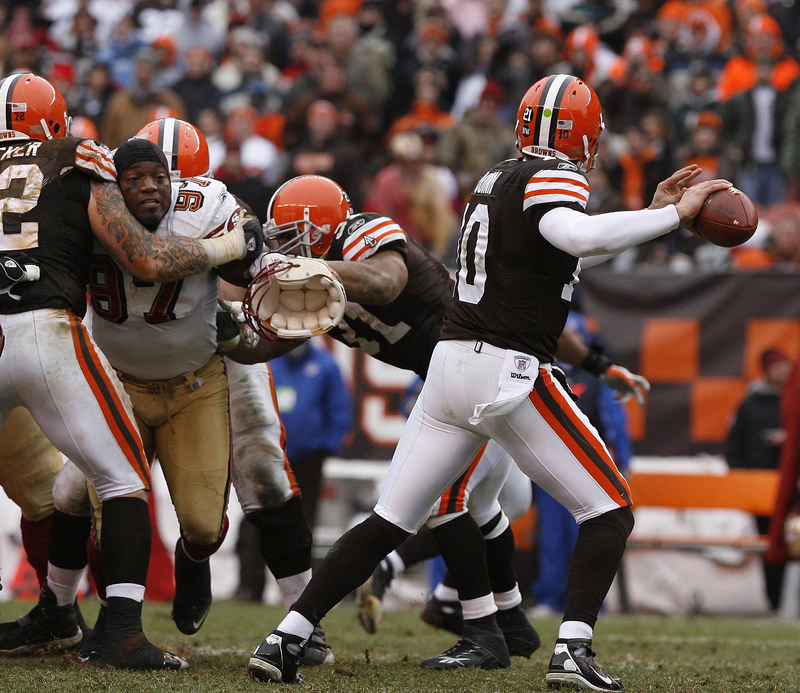 BY displays his amazing strength as with one arm he lifts 6.5, 315 Rex Tucker off the ground en route to the QB. 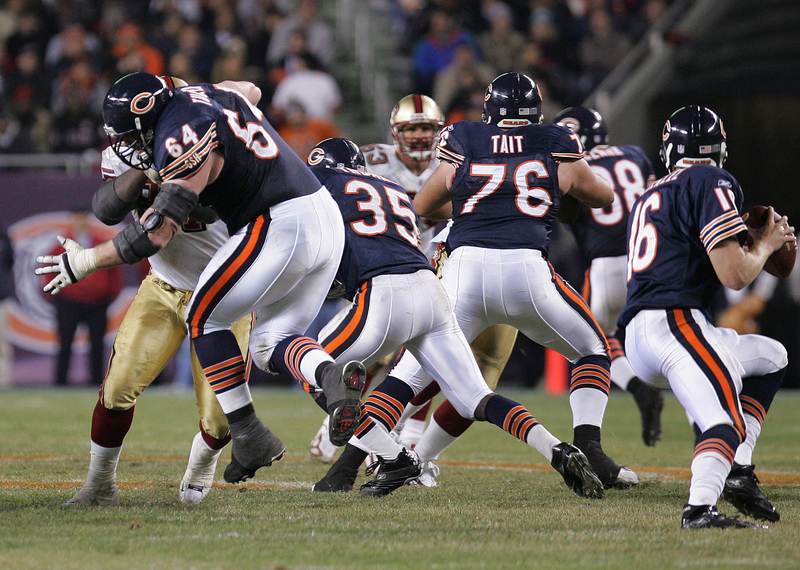 October 30, 2004, Soldier Field, Chicago, Il. There were fears BY would never play again. Saying BY came back is an understatement. His career continued for nine more seasons playing with a metal rod in his leg while earning the NFL Ed Block Courage award along with the NFL Comeback Player of the Year award. 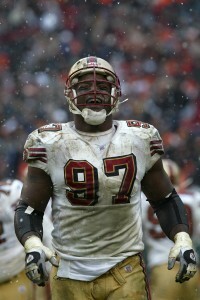 To me, Bryant Young will always be, Mr. San Francisco 49er. This entry was posted in Links and tagged Bryant Young, Noblest 49er of All by sharisax. Bookmark the permalink.